An 8-year-old child is suspected in the death of a toddler at a Michigan day care, where the victim's mother said she discovered her son's lifeless body when she arrived to pick him up, according to reports. 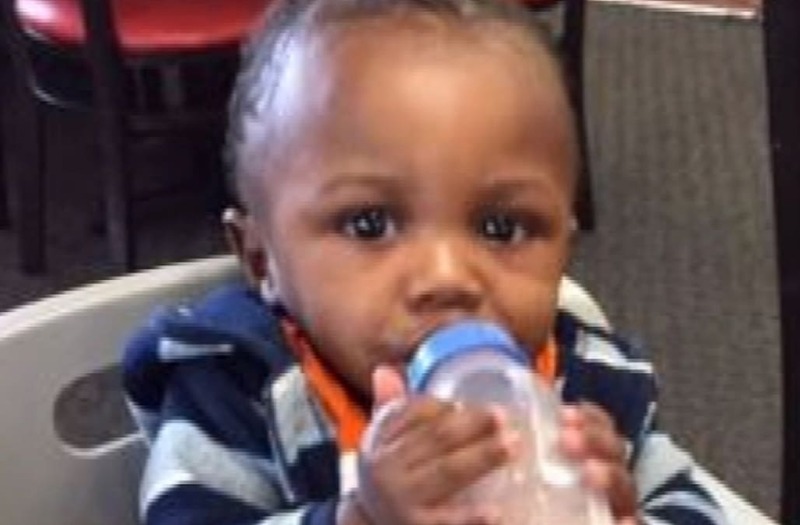 Little Korey Brown, 1, was found dead in the day care, which was run out of a home in Muskegon, after apparently being left unsupervised for an extended period on Friday, Police Chief Jeffrey Lewis told MLive.com. Authorities said the little boy was dropped off at the day care the previous night and left unsupervised with an 8-year-old girl, who had been left at the facility around 2 a.m. that day. The death occurred while the children were left alone, and Korey was found concealed in a bedroom, Lewis told MLive.com. A cause of death was not immediately known. "The 1-year-old was crying and it appears no one was attending to the child," he said. "The 8-year-old dealt with the baby crying ... This person that was involved in the death probably felt something was wrong. If you're a child and break something, you try to hide it." The primary witness is 5 years old, making the case very difficult for officers, Lewis said. "I thought I saw everything," Lewis said. "This one floors me. I can hardly get a grip on it." Bryanna Reasonover, Korey's mother, told MLive.com that she found her son unresponsive in a playpen when she went to pick him and his siblings up. "I picked Korey up and I'm thinking he's asleep and then his face tilts over," Reasonover said, noting her son appeared to have bite marks and bruises on his face. "I'm saying 'What's wrong with my baby's face?' I'm thinking he's still asleep." First responders were called to the home at 6:50 a.m., and Korey was pronounced dead at 8 a.m., following resuscitation and other life-saving efforts, officials said. Lewis said that he didn't believe the child had any visible injuries. The 8-year-old girl was taken for a mental evaluation at Mercy Health Partners Hackley Campus, Lewis told MLive.com. No complaints have ever been made against the owner and operator of the day care, Keysha Collins, who was first licensed to run the facility, which accommodates up to 12 children, in 2016, the state's Licensing and Regulatory Affairs division said. That agency is now investigating the incident. Police are also continuing to investigate, Lewis said, noting that the case is unlike anything he's ever seen. The loss of Korey came as a shock for loved ones, who took to social media to share their grief. "Korey wasn't your average 1 year old," a relative wrote on a GoFundMe page created to offset funeral costs. "He was full of life and made his presence known in any room he entered. He is his mother's angel, born on her birthday." Others expressed their condolences with Korey's devastated mother. "May your precious boy find peace....and I wish you strength to help you through this terrible time," a friend wrote on her Facebook page. "May [God] hold your family close." "My heart breaks for you sweetie," another friend posted. "Sending Comforting Prayers."